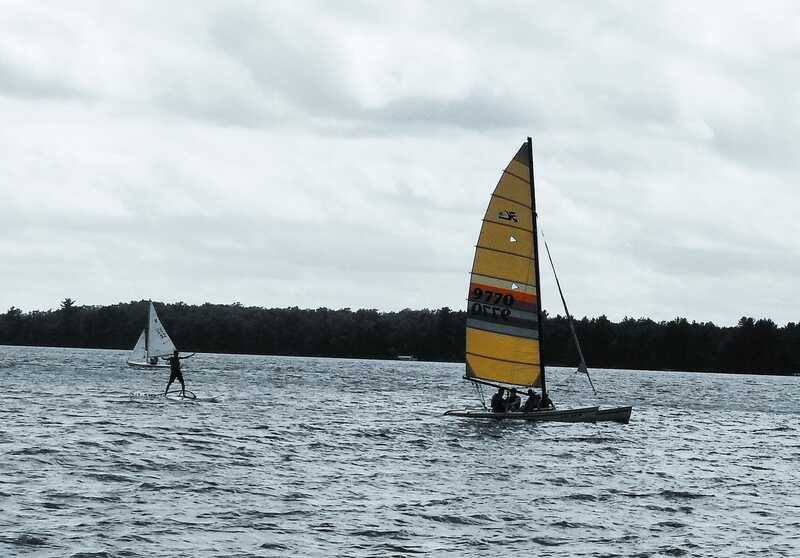 Lake Nokomis is alive with TP sailors, sailboards, kayakers, and swimmers. Today’s blog is written by camper Ross C as part of the TP Journalism workshop. Ross also took and edited the photos in this blog. 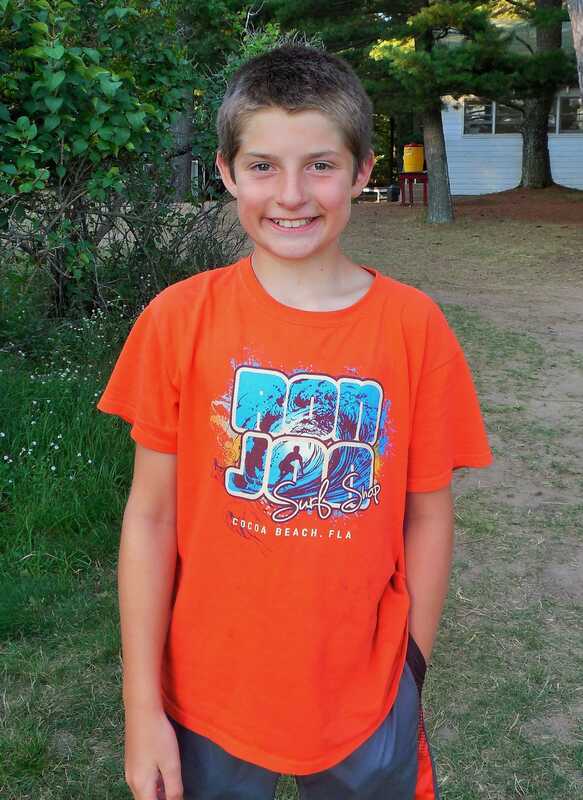 Ross is a 4-year Towering Pines veteran who learned about Towering Pines because his father is a friend of Camp Director Jeff Jordan. TP Journalist and Sailor Ross C.
Ross has a nice balance of old and new camp friends in his cabin and activities, and he enjoys performing skits at the campfire. Ross’ favorite camp foods are jambalaya, lasagna, and cinnamon rolls. 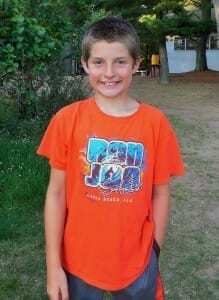 He likes archery and free swim, but his favorite activity is sailing. In fact, Ross spends half his day at sailing with one period of Sailing and 2 Periods of Sail Race. I have been sailing for 4 years now ever since my first summer at Towering Pines. I passed my Crew rank this week. I also crewed for Mitch (a.k.a. “Metch the Bardic Pirate”) and we won the sail race that day. 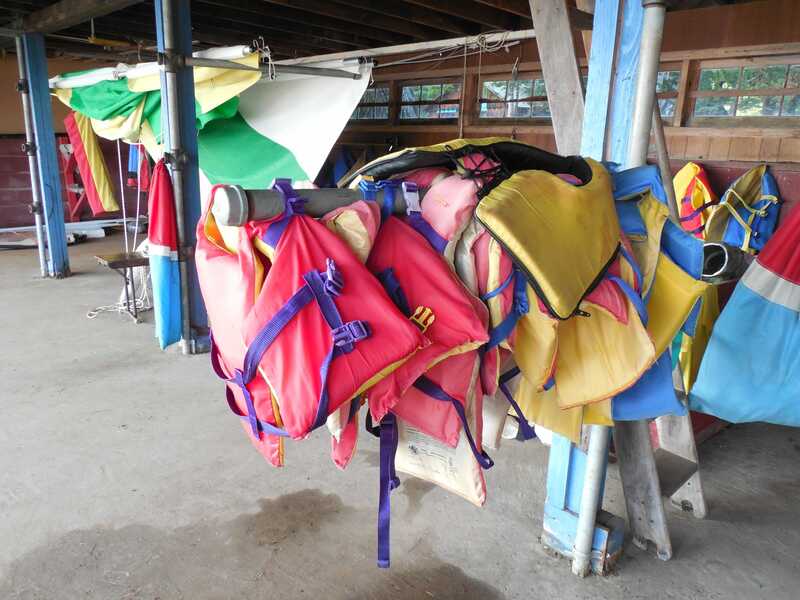 At TP, everyone must WEAR the PFD on the boats, not just carry it. My favorite sailboats are the Wild Thing, the big Hobie, and Aqua Fines. My sailing counselors are Jonathan and Will, who teach us about safety and how to sail better. 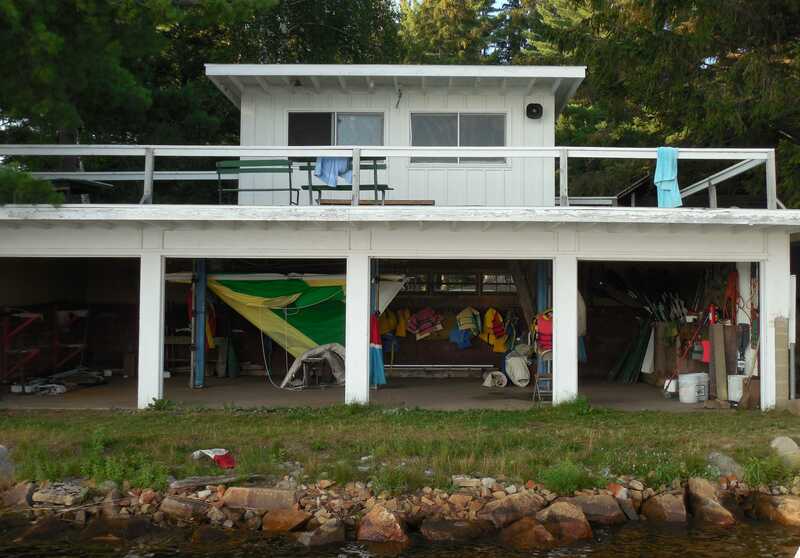 They watch us from the Boat House, and drive out to us in the crash boat if we need help. The TP Boathouse looks out over Lake Nokomis so that the staff can watch the campers. To stay safe, we have to wear PFDs on the boats and follow the rules of the water. This summer I hope to earn Seaman rank, and someday I hope to become a Skipper. On Fridays, the sail race is called the Dread Pirate Regatta. Once I become a Skipper, I want to win a Dread Pirate Regatta so I can get a pirate nickname. 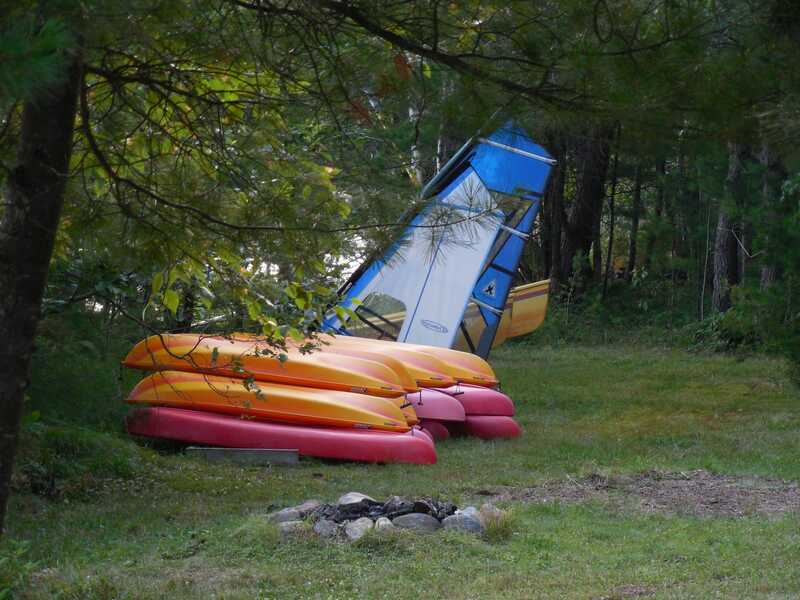 TP also has kayaks and sailboards. Thanks for doing a great job on the blog Ross, and good luck achieving your goals in Sailing. You’ll make a superb pirate someday! 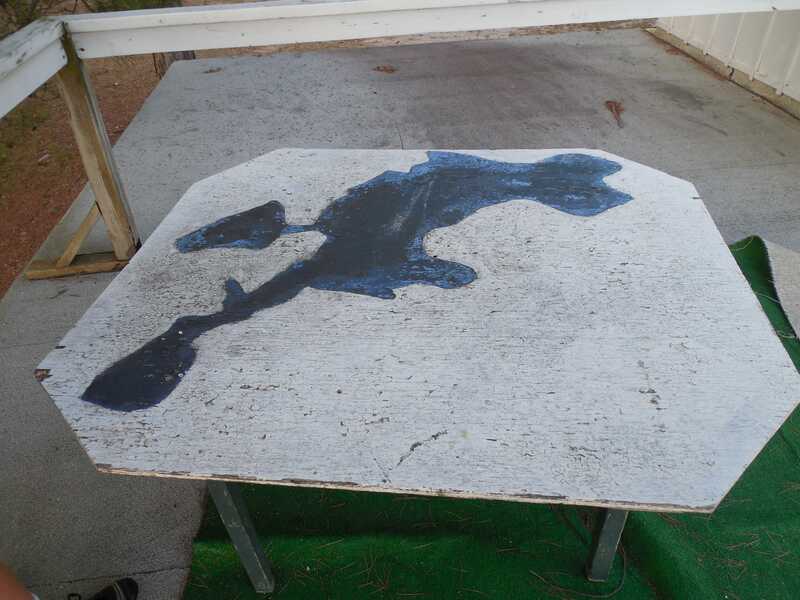 A map of Lake Nokomis painted on a table at the Boathouse.